Green Dental of Alexandria is a premier provider of dental restorations, including dental implants as well as complete dental care. Our practice includes an experienced and talented restorative dentist, Dr. Hye Y. Park, and a dedicated staff of dental support professionals. Our dentist and staff members are deeply committed to your dental health and to helping you achieve a naturally beautiful and fully functional smile, for life. Our first priorities are patient safety, patient care and protecting the environment. 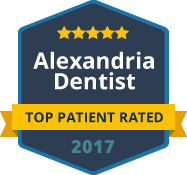 Using the best and safest materials the industry has to offer, the most advanced dental technology and eco-friendly systems, we deliver top quality, green restorative dental care to professionals and families throughout Alexandria and the surrounding areas. When it comes to expert restorative dentistry, you can trust the dedicated professionals at Green Dental of Alexandria. Our practice offers a full range of restorative dental services including tooth colored fillings, crowns and bridges and dental implants. Because we care about your safety and about the both the form and function of your smile, we do not provide any dental restorations containing mercury. If you have old dental fillings that contain mercury, we can replace them with tooth colored fillings made of either porcelain or composite resin. For your safety, we employ amalgam separators and chair-side filters during the process of removing old amalgam fillings containing mercury. Whether you are in need of a single restorative dental procedure or a full dental reconstruction, you can trust the caring dentist and staff from Green Dental of Alexandria. We understand the value of a beautiful and dentally functional smile. We also recognize the fact that restorative dentistry can be expensive and may not be fully covered by insurance. That is why we offer expert dental restorations at affordable rates and offer flexible and in-house payment plans. Our friendly and knowledgeable professionals are available to work with you to help you find a financing plan that meets your specific needs. If you are in need of restorative dental care, please contact our Alexandria Dental Restoration Experts at Green Dental of Alexandria today to schedule a smile consultation. We look forward to helping you achieve your best smile!